During WWII the US Army tried several times to create a heavy tank capable of standing up to the heavy German tanks, but each time without success. First with the hopelessly obsolete M6 design, they then went to the T29, T30, T32 and T34 models with no better success; the closest they got to getting one into combat was the T26E4 Pershing derivative with a 90mm very high power gun. But as the war wound down, interest in heavy tanks waned. At least it did until May 1945 - that was when the USSR paraded 52 of its brand-new IS-3 heavy tanks, which looked like nothing any of the allies had seen before. This quickly revived interest in the heavy tank, and by 1950 a new model, the T43, was now taking shape. Based on the design of the T48 Patton tank with its cast elliptical hull, the new tank used seven road wheels per side on a chassis only slightly longer than the six-wheel T48. But it mounted an enormous sweeping turret with a massive 120mm gun; like the British 120mm guns this required separate loading ammunition, but unlike the British the US simply used two loaders to maintain a high rate of fire. Finally fixes were worked out and 74 T43E1 tanks were reworked to be issued as the M103 heavy tank, arriving in Europe in 1958 to form a single 72-tank battalion. Originally designated the 899th, it was quickly redesignated 2-33 Armor and placed under the control of the 3rd US Armored Division (even though it wore 7th Army markings). But at the same time a revised model with a new gunner’s sight and other improvements entered testing as the T43E2, with the easiest way to tell the difference being the added bulge and hood for the T44E1 gunner’s periscopic sight. 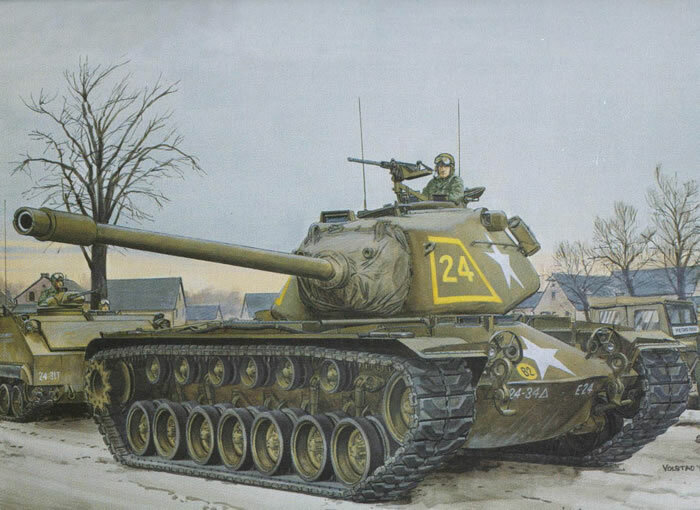 219 of the T43E1 tanks were modified to this standard, and were accepted for use by the USMC as the M103A1 with the conversion program taking place in 1957. Eventually the Marines converted 206 of those tanks to the AVDS-1790 diesel engines as the M103A2, but by then they were considered reserve tanks. While the Army upgraded their tanks to A1 standard, they did not carry out the A2 modification. For many years this tank has caught the imagination of modelers who like “if it’s big and bad I want it!” tanks. But until now, the only styrene model was an ancient 1/87 (HO) one from ROCO. Several resin kits had been released, the latest one from Commander Models. 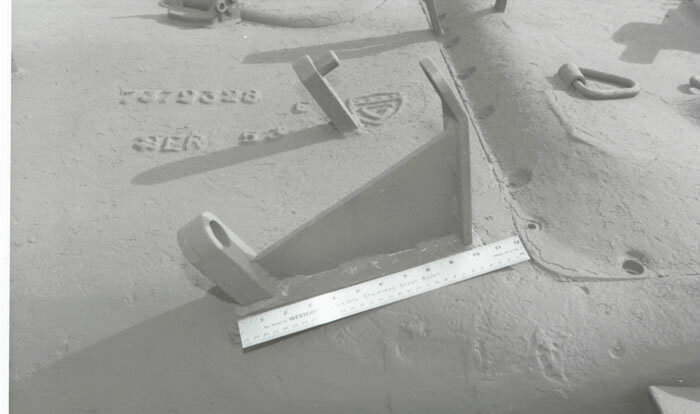 This marks the first time this tank has appeared in styrene, and due to the sprue layout it should be followed by an M103A2 with the later M48A3/M60 style engine deck. The model is very well done as far as it goes. What you get in the kit is a very accurate M103A1 tank, but one with none of the in-service modifications they sported. 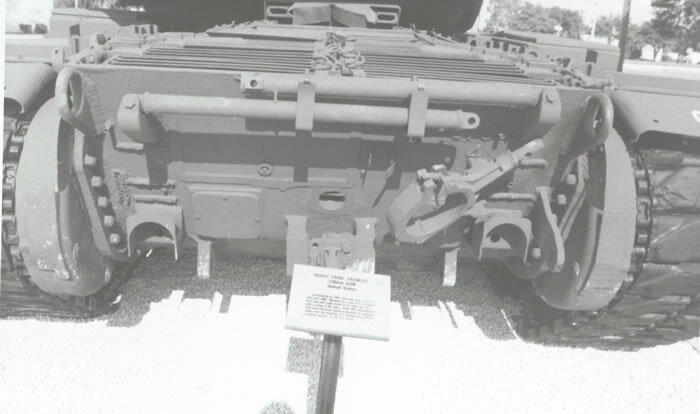 There is no mantlet cover (which unlike the M48 and its accordion-style mantlet had all of the shape of a worn-out tent) nor more surprisingly the thermal shield that was a mandatory fitting under the turret bustle. During testing it was found that due to the position of the commander at the back of the turret he sat right on top of the exhaust outlet, and over the course of a day’s training was subject to being slow-roasted like sitting in a Crock-Pot. 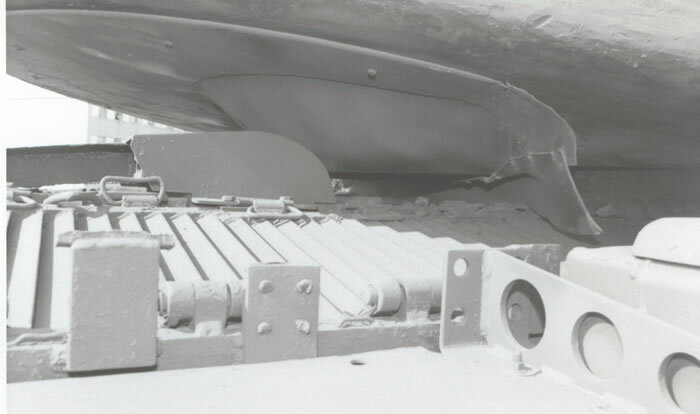 Some tanks also added side-facing deflectors like those from the M48 to reduce the heat effects on the turret. The kit assembles in normal fashion (e.g. starting with the suspension). While the drivers (C16) do not have the mud clean-out holes, apparently most of the M103 and M103A1 tanks did not have them as built and it is only later on (as M103A2s) that these are readily apparent in photos. The directions are somewhat muddled on the massive travel lock used by the M103A1. In Step 5 it has some etched brass parts listed as optionally opened or closed; what they do not indicate is whether they are carrying the travel lock parts or not, as it disassembled to fit on the rear of the hull. This is shown in Step 7 but you don’t get warned of that in Step 5. The kit comes with the machine gun sprue from the M2 Halftrack kit and provides for a very nice M2HB installation, which is good as the mount on the M103 cupola is quite prominent. The travel mounts for the machine gun (e.g. once removed from the cupola and stowed for movement in order to lower the height of the tank) are apparently missing. And, as many people have asked, the gunner’s hatch is molded shut; there are no options. Finishing instructions are provided for three tanks, all in olive drab: E Company, 34th Armor, 24th Infantry Division, Germany 1959 (Yellow 24); Unidentified Unit, Germany 1959 (White 11); Unidentified Unit, Germany 1959 (Yellow C31). The latter two are correct, but for 1962, not 1959; also, C31 is a Marine Corps tank and not Army. I am not sure of the first one but as the units may have had attached platoons or companies of M103s (“Share the wealth” so to speak) it is likely. The best known Army markings for M103s are from 2-33 Armor in Germany in their markings with names - DEROGATORY (13), DAINTY (43) and DEBRA (33) being the best known; however, they are all M103 tanks, not M103A1s. Note that per Steve Zaloga after their initial fielding they were swapped for the better M103A1 tanks from the Marines and the older tanks were apparently also upgraded to A1 standard for return to the Marine Corps. Overall this is a nice kit that can, if the T44E1 sight bulge is removed, be built to match one of the T43E1 tanks (30170196) from the APG Test board. But it will need additions if built to match an in-service US Army or Marine Corps tank.